Romain Hoffmann, Dennemeyer’s Global Head of Patent Annuities, is a true pioneer of Intellectual Property management software. 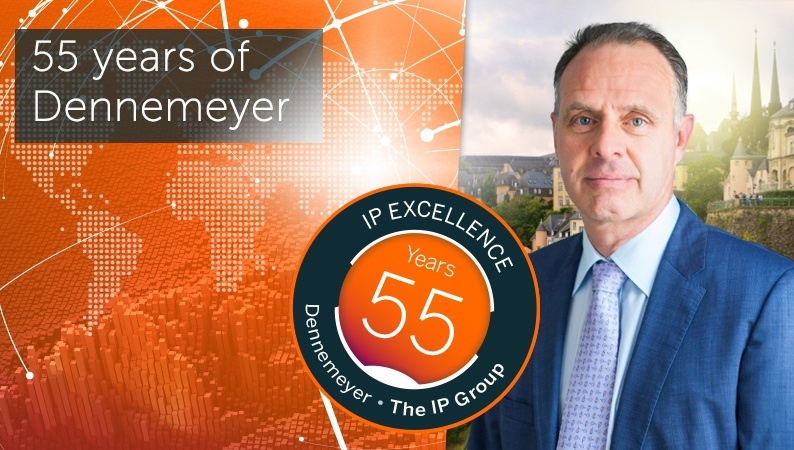 In this issue of the “55 years of Dennemeyer” series, he describes how software-based IP management made a Luxembourg-based law firm develop into the world’s most diversified IP full-service provider. When I started my IP career at Dennemeyer in 1984, I sometimes felt like an alien. Back then, there were hardly any IT specialists in the IP industry. Looking back, I would even question if there was a global “IP industry” at all. The business, no matter if legal or administrative, was still almost completely in the hands of traditional law firms and outsourcing of IP services, such as Patent Annuity payments or Trademark Renewals, was an exception. Myself, a graduate computer scientist, was initially hired to perform IT-based trademark searches. But then, after a couple of weeks, technology surprisingly drove my switch to the annuity payments department. What had happened? The founder of our group, John James Dennemeyer, was a pioneer in the field of combining software and IP payment services. Already back in the '70s, working as a patent attorney in Luxembourg, he had the idea to use computers to manage annuity payments for patents and trademarks. This was the actual start of computer-based patent annuity management. John Dennemeyer had already looked back on an interesting and unusual life: born in the US, grown up in Luxembourg, he studied in Munich. During WW2 he returned to the US, where he worked as an interpreter for the US army. 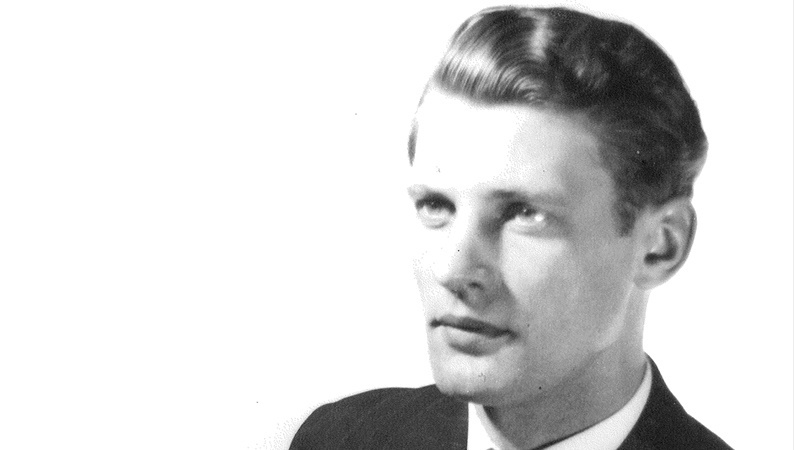 John James Dennemeyer (here in his late twenties) was a pioneer in the field of combining software and IP payment services. Back in the '70s, while working as a patent attorney in Luxembourg, he had the idea to use computers to manage annuity payments for patents and trademarks. After the war, he finished his studies and became a US lawyer/patent attorney. In 1962 he returned to Luxembourg, where he opened a Patent Attorney Office with the support of two major US corporations. As mentioned before, it was technology, or better, his innovative idea, which led him to the start of software-based patent annuity payments. This allowed his company to offer the use of software in managing the payment on issued patents for the portfolio of the Luxembourg Patent Attorney Office. The opening of the Stockport Office in 1973 was the beginning of a global success story. Steve Miller, Director UK, started April 1st, 1973, worked exactly 40 years for Dennemeyer. Back to myself: Shortly after I started with trademark searches at Dennemeyer, the colleagues from the payment department were wondering what that giant computer, which had just been delivered to the law firm, was actually good for and who ordered it. It was Paul Dennemeyer, the founder’s son, a software analyst responsible for the development and management of the law firm’s software department. Back then, the computer had the size of a closet, the spectacular disk space of 200 megabytes and its price was about that of a car. The plan was to use the same software as in Stockport for the management of the law firm’s annuity payments on pending cases, but, obviously, there was no one who knew exactly how to use it. All of a sudden, everybody was more than happy to have a computer scientist in the company – and I never worked in trademark searches again. The combination of software-based patent annuity payments had become my profession. Almost 35 years later, I can say that I’m proud and happy that I have been given the chance to become part of a revolution in the IP industry. Disruption is probably the buzzword that would be used today to describe the impact of John Dennemeyer’s vision. He has passed away in February 2017 and, today, there are many providers of IP management software or software-based IP services. But the Dennemeyer Group has developed into a global player in IP - far beyond the management of global annuity payments. The times of paper files and letter instruction are nearly over – and the constantly growing numbers of IP rights and the increasing globalization in the area of IP protection would not have been possible without technology. What else has changed in these past years? In the '80s, many corporations developed their own software to manage their IP. On the other hand, more and more clients decided to outsource their payments to us, about 6000 per year already in 1984. As of 1986, Dennemeyer offered a first docketing system called PMS. In 1997, Dennemeyer acquired "Hypermark", the precursor of DIAMS classic, a docketing database that enables clients to manage their IP rights themselves. That was the foundation for one of the most powerful global IP management software solutions. DIAMS iQ, a web-enabled IP asset management system, combines the most valuable features of both a client-server solution and a web-based application. Today, Dennemeyer manages approximately 2 million cases per year. Besides that, the group has developed into one of the biggest and definitely the most diversified IP service provider worldwide, comprising an IP law firm and a consulting firm. The payment services have been the basis for this impressive development. What makes me particularly proud: Our first annuity client using data file transfer still works with us today. Good that we have it all!